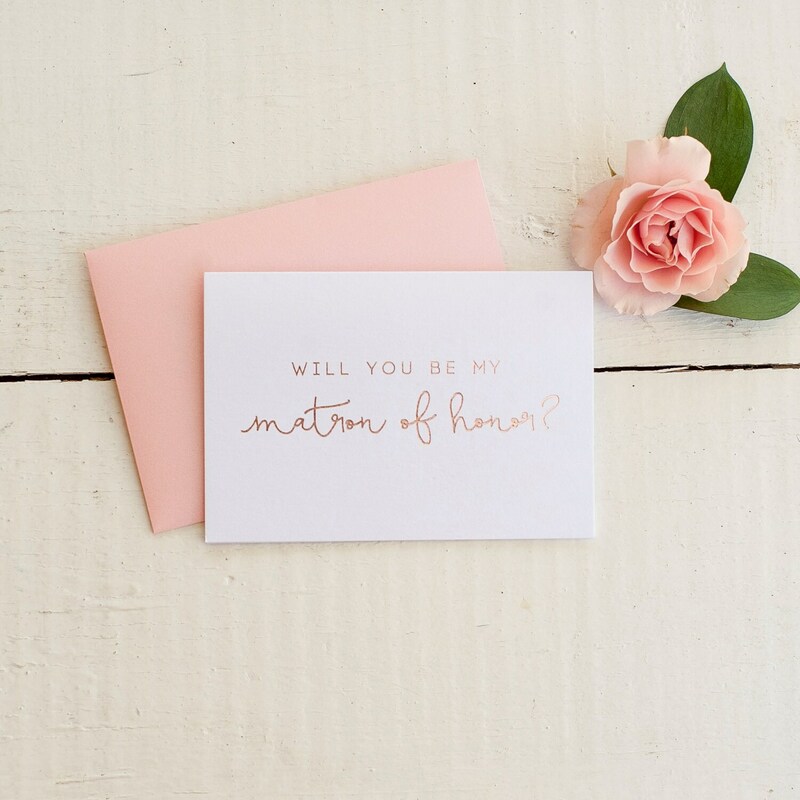 Our rose gold foil stamped matron of honor invitations ask your attendants to join you on your special day with a timeless, classic look. 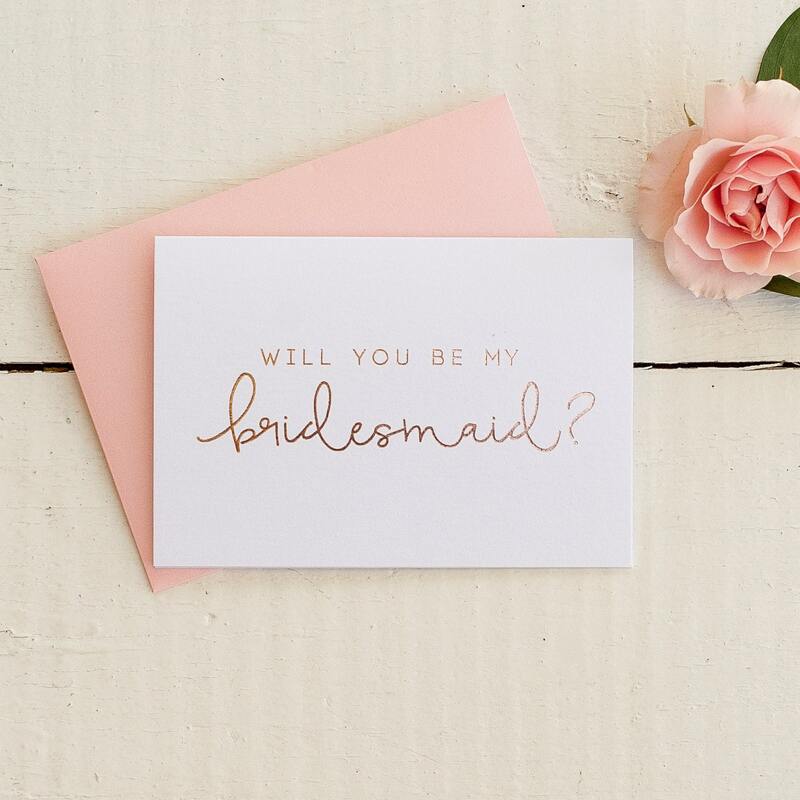 Our authentic rose gold foil stamped cards are made with white pearl heavyweight cardstock. 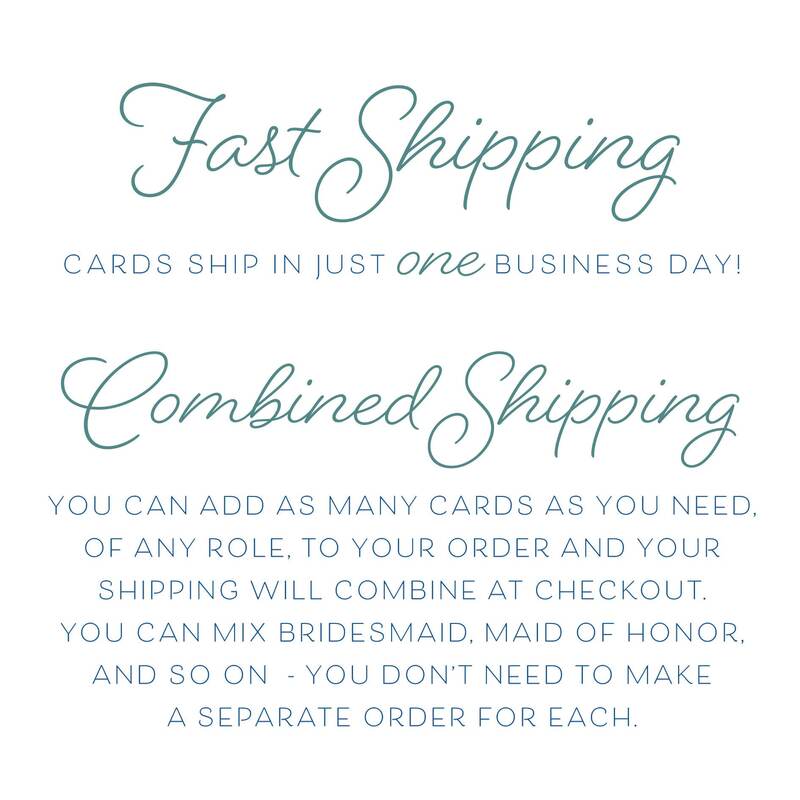 Available in bridesmaid, maid of honor, and matron of honor, one for each of your special girls on your big day. 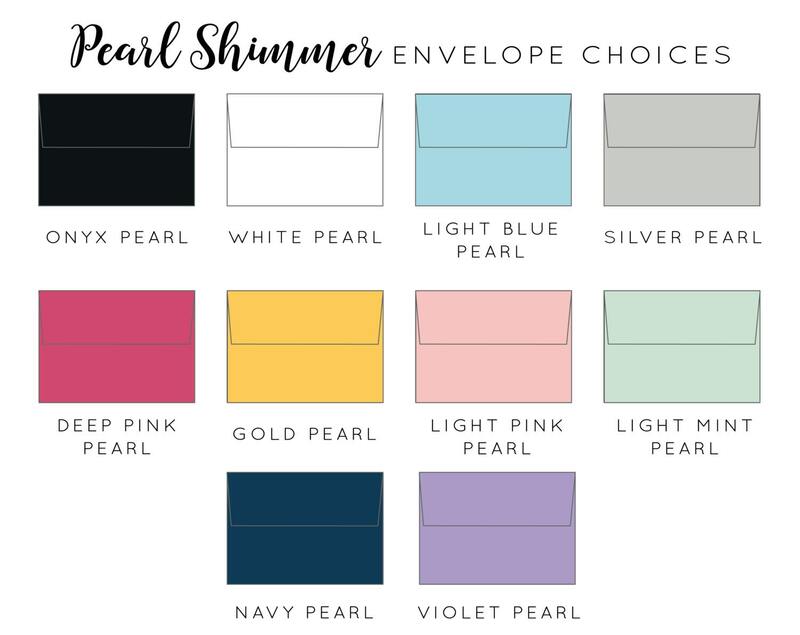 These 4.75x3.25" notecards are folded and come with a your choice of one of 9 beautiful pearl shimmer envelope colors - see last photo for choices. 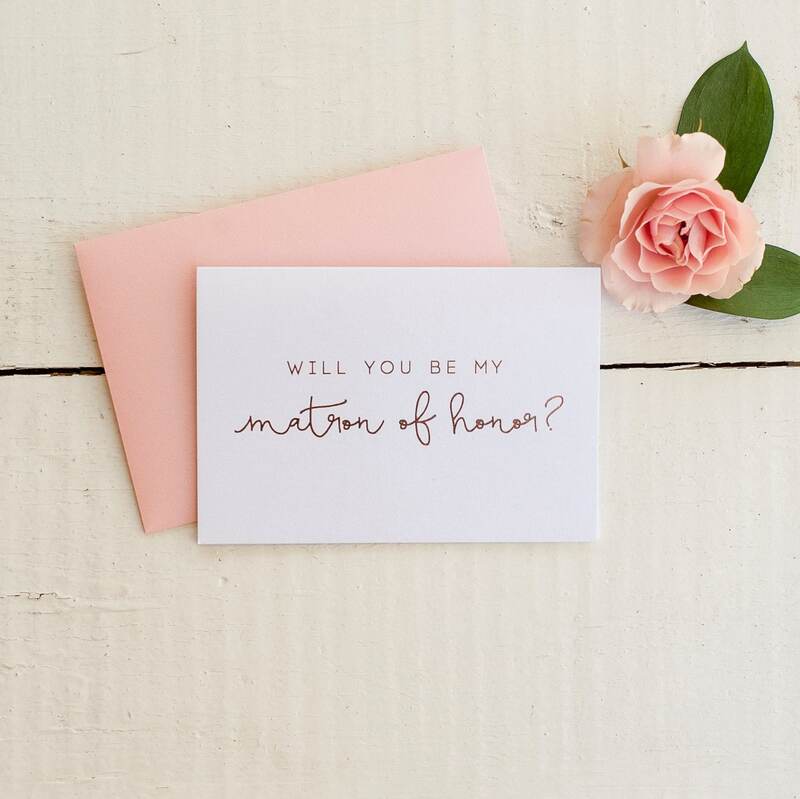 The interior of the card is blank for you to write your personal message.